The Blue Lagoon really is as beautiful as it appears on the postcards. Located on the smaller island of Comino it is a great place to visit on a day trip with lovely shallow waters and great spots to sunbathe. The waters are cristal clear and snorkling is highly recommended. Mellieha Beach is the largest sandy beach in Malta and has some good facilities including loungers and umbrellas and snack bars to get refreshments. There are also watersport facilities for those who fancy some activity inbetween sunbathing. Golden Bay is another sandy beach on the western coast of Malta. Its location next to the 5 star Radisson Golden Sands means that you can enjoy the beach and a lovely meal in the hotel’s restaurant. This sandy beach is less accessible than nearby Golden Bay and you will need to take 100 steps or a hillside path to get down to it. The bay is very well protected which makes it perfect for families. 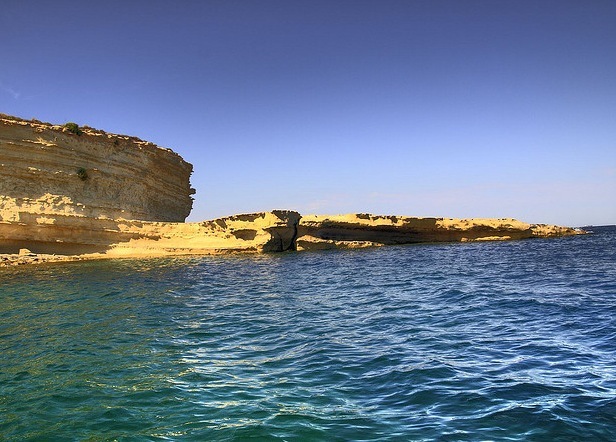 Paradise Bay is a beautiful secluded bay on the northern part of Malta. The beach is more tucked away than other beaches, although there are still toilets and places to get snacks and refreshments. 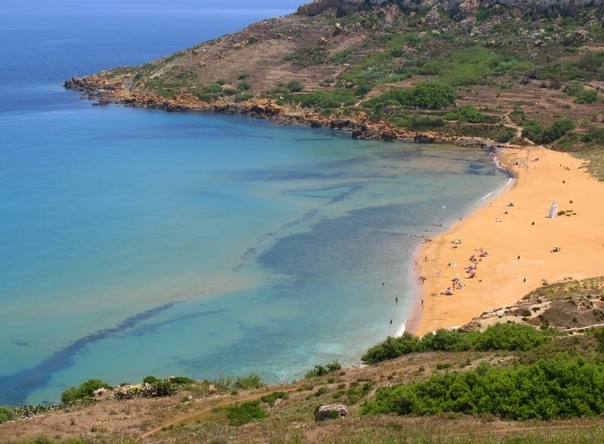 The name of this beach means ‘Red Beach’ in Maltese and you will see why if you go! The orange-red sand makes it truly picturesque. The beach is located in Gozo at the bottom of a beautiful valley and its curved shape makes it wide and spacious, although it can get quite crowded in the summer. This beach is more remote than other sandy beaches which means that is less busy and great if you are looking for somewhere more quite and relazing. There is also a short climb down a cliff to reach it and you will need to bring snacks and water as there is no where to buy anything once you are there. Hondoq ir-Rummien is a beautiful sandy and pebby beach that boasts a great view to the island of Comino. Like many of the other beaches it features sparkling clear waters and has small caves to explore for snorkling. The deeper waters are accessible by ladders. A small pebbly beach on the island of Gozo, Dahley Qorrot Bay has beautiful sparkling blue waters that are great for snorking. There are caves surrounding the beach and large rocks that offer shaded areas. There is also a snack bar that is open in peak summer months. This beach on Gozo is small and secluded, surrounded by high rocks. 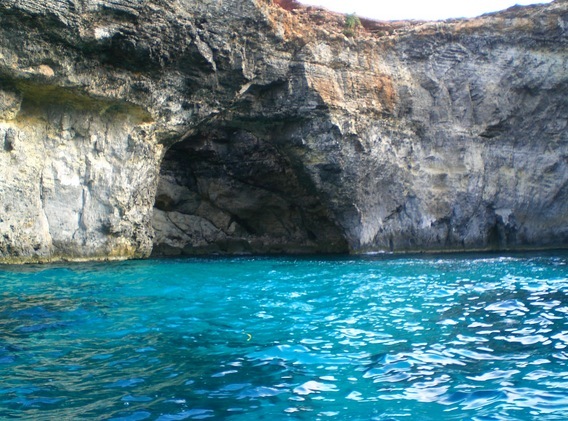 It has crystal clear waters amd caves that make it a great place for snorkling and diving. The walk down to the beach offers amazing views out to sea. Due to its location down a 20 minute steep and slippery path, Fomm ir-Rih is a truly secluded beach and is perfect for those who are looking for somewhere tranquil to relax. It really is beautiful but its lack of accessibility mean it is not a good idea to take young children or the elderly. St Peter’s Pool is an incredible natural swimming pool surrounded by flat rocks that are ideal for sunbathing. There are ladders that have been built to provide access to the sea and the crystal clear waters make for a great snorkling experience. St Peter’s Pool is not as busy as some of the other beaches in Malta due to is remote location so you can always find a great spot to relax for the day.